Talented three year-old Denman filly Kanga's Eye finished a close and unlucky second to Godolphin runner Jorda in the 2016 Listed ATC Gimcrack Stakes, but amazingly it has taken until today for her to win a race. A homebred for Stuart Ramsay of Turangga Farm, Kanga's Eye was originally trained by Anthony Cummings. After her encouraging debut run, Kanga's Eye had only one other start at two finishing down the track at the back end of the season and earlier this year was given to John Ramsay to train. Third and fifth at Newcastle and Scone at her first two runs back from a lengthy spell, Kanga's Eye was fit and ready to fire at Scone on Wednesday and took the 1100 metre maiden by two and a half lengths. She stalked the leader under Grant Buckley and kicked right away down the running to easily beat the favourite Keeva, a $250,000 MM Fastnet Rock filly from former very good mare Graceful Anna. Kanga's Eye is the second winner from Watchme, a Bel Esprit half-sister to stakes-winners Lim's Fighter and Risky Business from Group II winner Sky Watch. Watchme was among the mares sold by Turangga Farm earlier this year at their Inglis run dispersal sale in Scone and fetched $50,000. 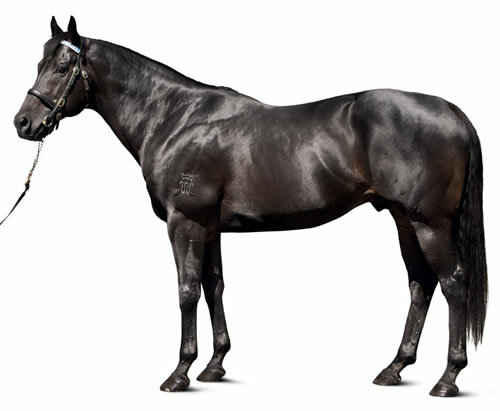 Turangga Farm have another great draft for the Magic Millions next month with eight yearlings including youngsters by leading sires I Am Invincible, Redoute's Choice and Sebring, click here to see them.